Students from Richard Orodenker’s Mosaic I: Humanities Seminar course in the Intellectual Heritage program visited Temple University Libraries’ Special Collections Research Center in March 2015 to learn more about the tradition of keeping a commonplace book. 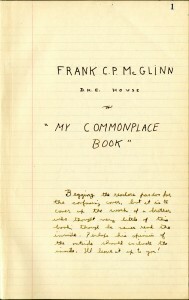 A commonplace book is any book in which extracts from other works, quotations, and comments are written. 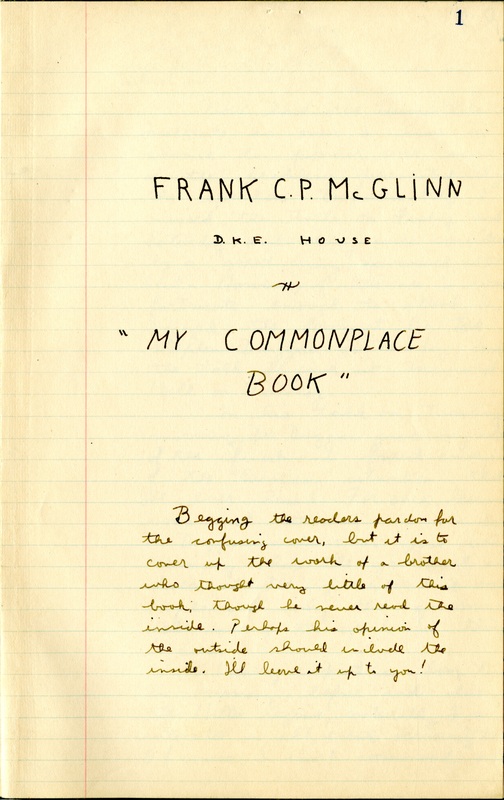 Designed to be both a compilation of knowledge based on its creator’s interests and a memory aid, a commonplace book often includes a wide range of information on a variety of topics, such as politics, religion, and literature. “I felt that the assignment was an interesting historical correlation to the current trend of tweeting or ‘facebooking’ famous quotes. 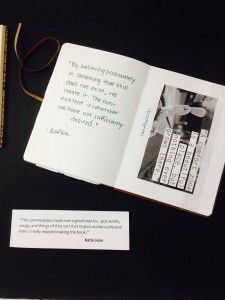 In my commonplace book I tried to incorporate text and visuals because the quotes that I chose were those that drew pictures with the beauty of their language. I find that a writer’s ability to translate words into mental images creates a wide range of interpretations and emotions for different readers and I wanted to express those images and emotions.”–Keeland Bowers, student. 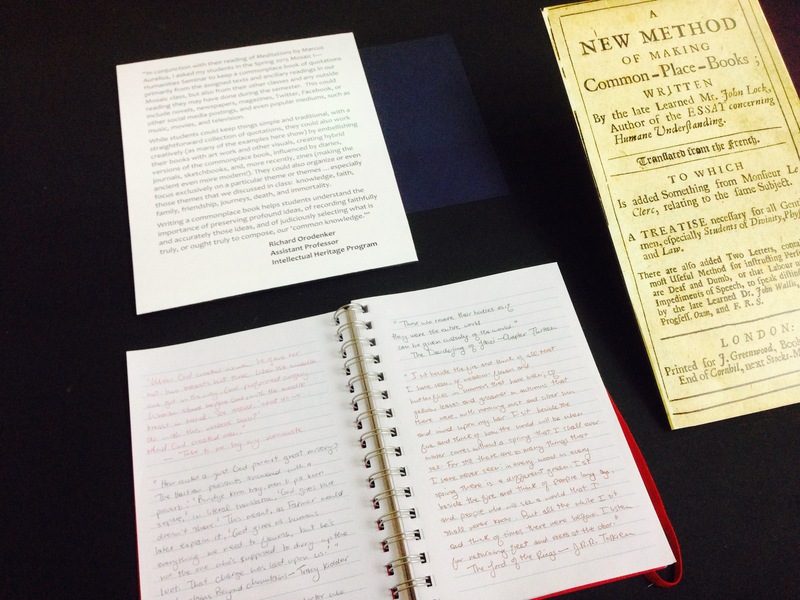 Several of the commonplace books kept by students in the class, along with a selection of SCRC commonplace books and related materials, are on display during the Fall 2015 semester in three cases in the lobby of Paley Library. Please stop in and see how a visit to the Special Collections Research Center helped to shape this class project, by making the traditional commonplace book the jumping off point for rewarding student projects that incorporate both the old and the new.